1000ft roll of Siamese Video & Power cable for CCTV camera installations. This CCTV Siamese Wire carries both video and power making it easy to install cameras without the need for power outlets near the cameras. 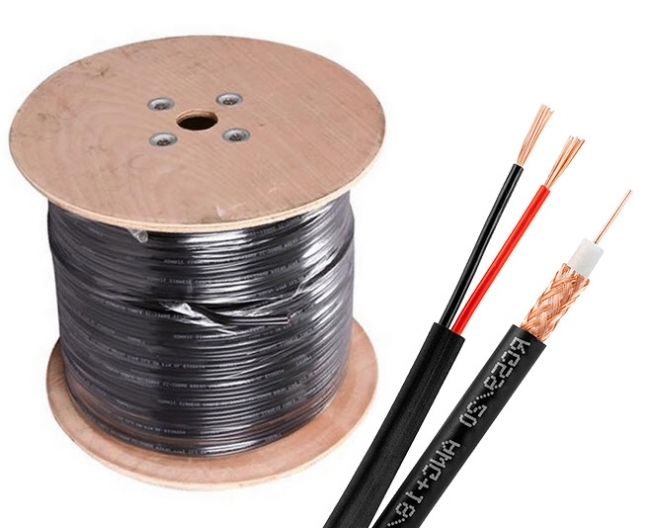 This listing is for black colored wire. This wire has a RG59U 20awg core for video and is shielded 95% copper braid. This cable is an economical choice for runs less than 350ft for HD security cameras. Invest your money wisely and buy the right cable the first time. Be sure to purchase BNC connectors and DC power terminals.